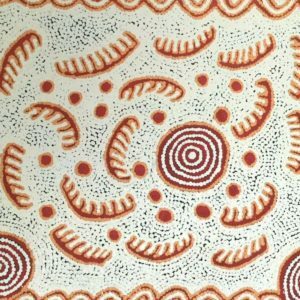 An Aboriginal painting that went missing in 1981 has been found by chance hanging in the office of a tourism official in Australia's Northern Territory (NT). 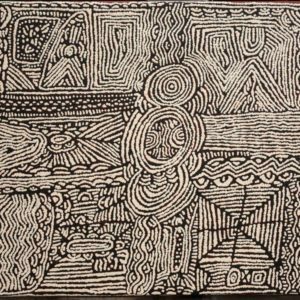 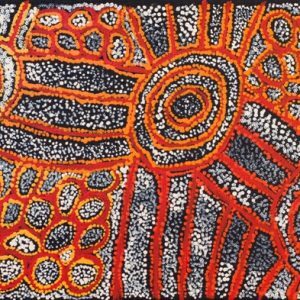 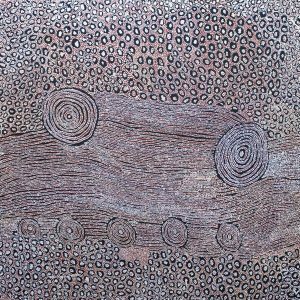 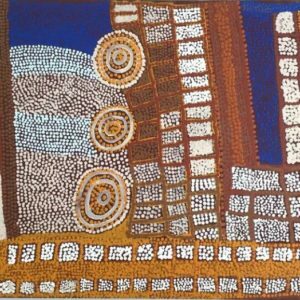 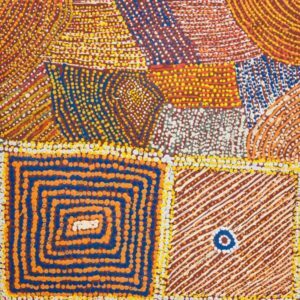 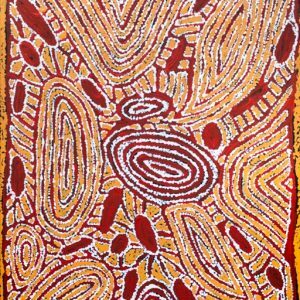 The piece, Untitled (Travelling Dreaming) by acclaimed artist Mick Namarari Tjapaltjarri, is estimated to be worth up to A$150,000 (US$110,000; £90,000) and was the subject of extensive searches after its disappearance 35 years ago, the ABC news website reports. 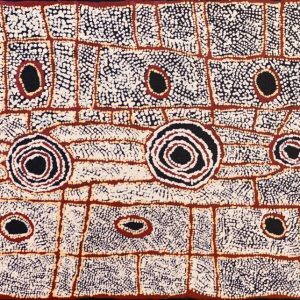 Often referred to as a Papunya board, it was loaned to the NT Chief Minister's Office in the late 1970s, and that's where it was last seen. 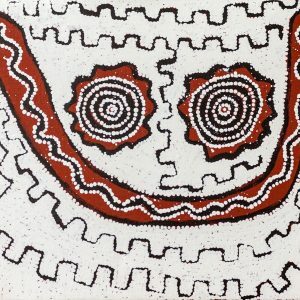 But that was all unbeknown to NT tourism chief Alistair Shields, who found it in a store room and decided it would brighten the walls at the Department of Tourism and Culture in Darwin. 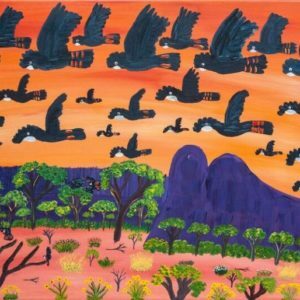 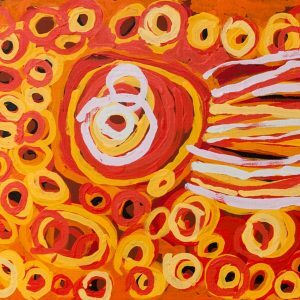 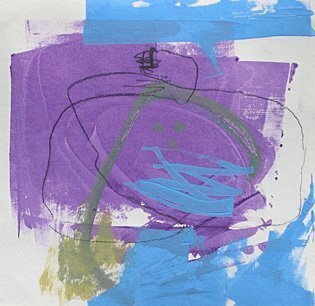 "The office needed a little bit of life and colour, however, I had no idea that I was hanging a prized piece of Northern Territory art," Mr Shields says.